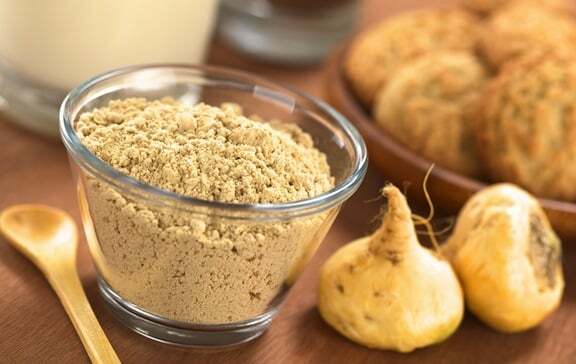 What is maca root, exactly? Maca is a root vegetable (alternatively referred to as a tuber) that’s a distant cousin of the radish family. A member of the species Lepidium meyenii, it’s grown in the mountains of Peru and Bolivia. Maca’s benefits have long been valued by indigenous cultures. More recently, its use as a superfood has spread worldwide, and its popularity is growing exponentially. What are maca’s health benefits? Maca has been used for many health- and vitality-enhancing purposes for millennia. For more information, see our article, 7 Top Health Benefits of Maca. A concise and useful book on maca, in both e-book and paperback, is available on Amazon.com. E-book: Maca Root for Health and Vitality: How to Use and Benefit from the Superfood, with 20 Easy Recipes. 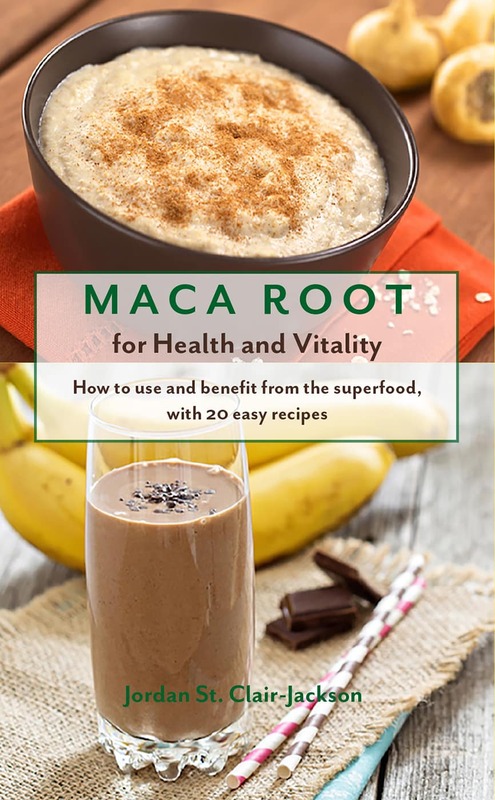 And the same title in paperback: Maca Root for Health and Vitality. Maca has been called “Peruvian ginseng” for its benefits as a tonic and for its concentration of nutrients. It’s considered an adaptogen for its ability to help the body manage stress and boost immunity. It has been used to enhance libido, fertility, and athletic stamina. Be aware that though many of these and other claims are credible, they’re largely anecdotal, as maca has just recently started to be formally studied. For a more formal study of maca, see this one from The National Institute of Health. How does maca taste, and what’s the best way to use it? Maca root powder has a distinct flavor that’s been described as alternatively as malty, or like caramel or toffee. It has also been called nutty, and some even find it has hints of butterscotch. 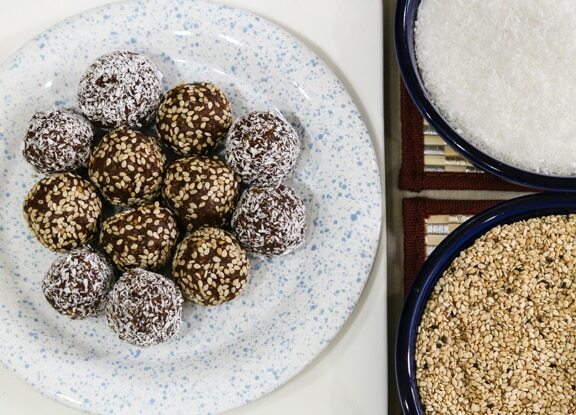 Though maca in an of itself isn’t sweet, it lends itself best to preparations that are on the sweet side, like beverages, unbaked cookies and bars, smoothies, and cereals. 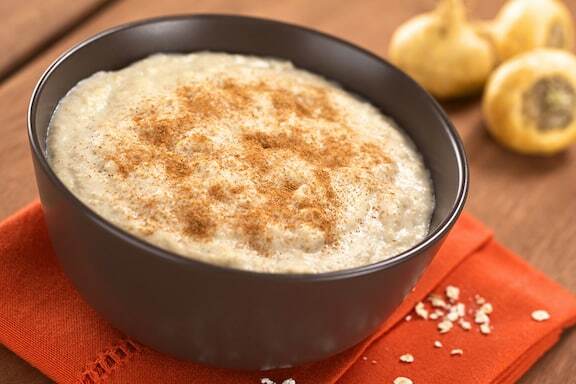 You can sprinkle it right onto hot or cold cereals, as shown at the top of this post, enhancing a bowl of warm oatmeal. 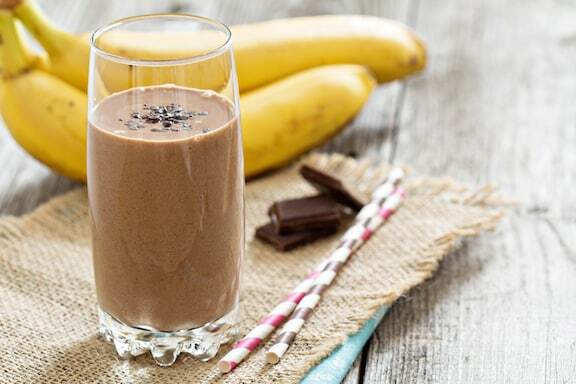 Shown below are No-Bake Vegan Cocoa Maca-Roons and Mocha Maca Banana Smoothie. For more detailed information, see Five Easy Ways to Use Maca Powder in Food. When first starting to use maca root powder, it’s best to begin by taking smaller amounts and building up; as little as 1/2 teaspoon is a good place to start. One tablespoon of the powdered root is an average daily dose, Using up to two tablespoons a day is fine too, depending on body weight. Maca is a powerful superfood and should be used in moderation. It’s also recommended that if you take it on a daily basis, to take a couple of days off each week, or to take it for 3 weeks, then take a break for a week. How can maca enhance exercise? According to an article on Livestrong, as a concentrated source of nutrients, maca is a great fuel for exercise. And since it’s antioxidant-rich, it may minimize muscle soreness and enhance muscle repair following strenuous activity. Its general use as a tonic and energy-booster may provide just the incentive to get moving in the first place! Maca is rich in the minerals calcium, magnesium and silica, all of which enhance bone health — great news for active people. You can purchase maca at your local natural foods store (if they don’t carry it, ask if they’ll special order if for you) or online. Amazon carries a number of brands. Go to Amazon’s maca page to compare brands, see reviews, and look over answers to reader questions by the companies that sell maca. If you live outside the U.S., explore your home country’s Amazon site. Maca can also be purchased directly from distributors like The Maca Team (this site also has a lot of useful information). Is maca organic, gluten-free, and non-GMO? Yes, most of the major maca brands sold are organic and non-GMO. It’s naturally gluten-free. I’m seeing it sold in capsule form. What is the best way to take Maca? Cindy, the best way to take maca is in the powder form. Who knows, and how much you’d be getting in a capsule. It’s easiest to blend a teaspoon or two of the maca powder into smoothies.